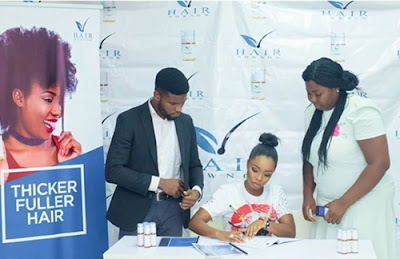 Popular star of reality TV, Bambam has a reason to be happy, as she announces that she is now an ambassador for the hair products brand, Hair NowNow. 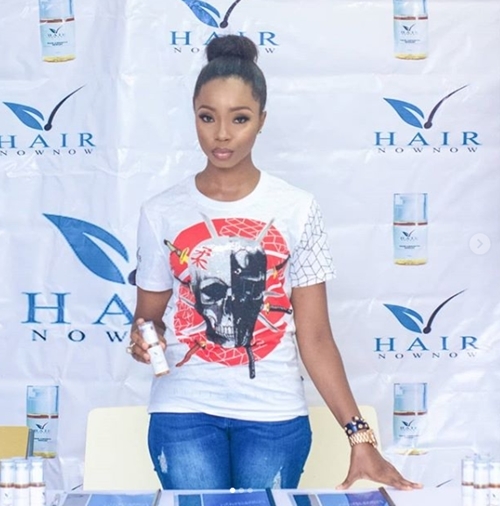 Former reality show star Gran Hermano Naija 2018, Bamike Olawunmi, popularly known as Bambam, has posted on her Instagram page to announce that she has achieved a new promotional contract with a hair product, Hair NowNow. She posted some photos of her presentation as an ambassador and wrote; "Ladies and gentlemen, @hairnownowafrica #Repost @hairnownowafrica (@ save.repost) Ladies and gentlemen, @hairnownowafrica we are very excited to announce the beautiful @bammybestowed as ambassador for our brand. 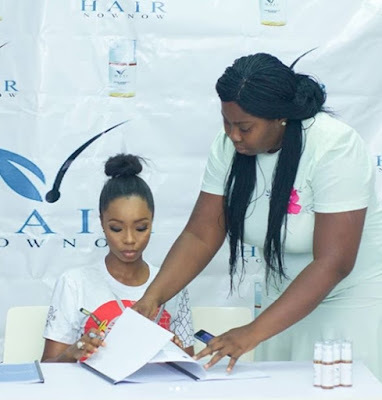 "As a budding skin expert, @bammybestowed understands the importance of healthy and excellent hair, our partnership is a good way to show you that you can achieve your hair goals with Hairnownow hair growth serum."